Quote Reply Topic: Any Advice Please? Dear Members.... I need the benefit of your experience please.... I am a new owner of a 2013 E89 Z4 Roadster ( ) joined the BMW Owners Club in Dec'18 and I intend to tour France Italy and Switzerland in her later this year. * Do i need to re-direct the Zenon headlights for driving in Europe??? * And finally, do I need a Green Card as well as my Log Book, My Insurance & My Driving Licence?? I can't answer the first question, for the second, yes you do if you don;t want to risk getting pulled over and fined, for the third....it depends on Brexit but from what I have heard it takes about a month to get a green card so as long as you apply in plenty of time you should be OK. I am fairly sure that the Zenon headlights dip flat, ie not right or left, so they should be ok. Your manual or dealer should confirm this. Most insurance policies cover you for the minimum cover required in the country that you visit, usually third party only. A green card will confirm that you have your full UK cover when abroad, fully comprehensive if that is the case on your policy in the UK. So well worth having. In France you will also need spare bulbs for non led lights, a warning triangle,a first aid kit, dayglo vests for each passenger and the driver and a breathaliser kit. It is a legal requirement to carry the breathaliser although the law enforcing its use was apparently not passed. If you intend to drive on Swiss motorways you will need to purchase a vignette (a form of road tax) and display it on your windscreen. 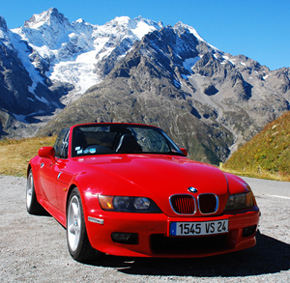 The acknowledged expert in Travelling in Europe is Mike Fishwick who lives in France and is a BMWCC member. He also owns a red Z3. You will find him on here - just put Mike Fishwick in search box. I did notice my error but quite right you beat me to it. I have owned a Z4 E89 for 2 years now and had the same concerns about the roof when I first purchased it. Since then I have done 2 European trips with no issues and in last years heat wave the roof was up and down numerous times with no problems. I am not aware of anyone having issues and no longer worry about it. I believe there may have been issues with some E84 models due to the motor being in a more exposed position where it was subject to corrosion. You can if you want buy a set of fitted luggage which fits with the roof down ( at a price ), called Roadsterbag, really useful for holiday trips and convenient when staying in hotels. Safety/dayglow jackets are supposed to be kept in the car, not the boot. The most convenient way is to make up a small bag or container that fits within the netting behind the seats. You also need to purchase the motorway driving permit for Switzerland (Vignette?) and if winter carry snow chains ( from RAC site). 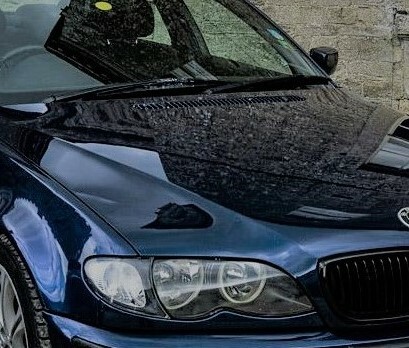 I've no idea about the Z series, but on the 6 series cars, there should be an Allen key which can be used to manually wind up the hood should it fail electrically. When I bought my secondhand 6 from a BMW dealership, I asked if the Allen key was in place and the salesman gave me a blank look! I had to show HIM where the key is stored. In the 6 it's tucked away inside the centre rear armrest which also houses the first aid kit. This is GREAT info Paul.... and YES I think I might be worrying over the roof issue too much. Thank you very much for taking the time to reply to my post .... I really appreciate it. Thanks Norrie.... Got the vignette sorted and it only took 2 days to arrive... Impressed... There is Aug/Sept so HOPEFULLY wont need snow chains. Thanks Roger BUT it appears that this is the one shortfall of the E89... Z4 Roadster... No Manual Mechanism to raise/close the roof!! I will still check with the dealership, service dept though !! I do not know if your Z4 has a flat dip, but the owners manual should tell you - as will your garage wall! I remember reading that the headlamps can be changed to LHD by removing each front wheel and opening the back of the headlamp to access the changeover lever. I know that no self-respecting male ever reads the owners manual, but it may have details of any mechanical back-up to operate the hood. Also remember the limit switch operated by the parcel shelf which stops the hood being lowerd if the boot is over-full. Remember also that the general speed limit on normal roads is now 80 kph / 50 mph, or 90 kph on three-lane roads where you are driving on the 2-lane section.